Congratulations to our 2017 winner! AR’s new 20000SP1G2 broadband solid state microwave pulsed amplifier provides 20,000 watts of output power from 1 to 2 GHz at a maximum pulse width of 50 µsec and duty cycle of 5%. 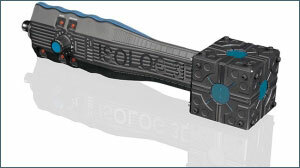 It uses state-of-the-art technology to obtain excellent performance at a relatively small size and weight. Applications include EMC testing, radar systems, Research, and product development. 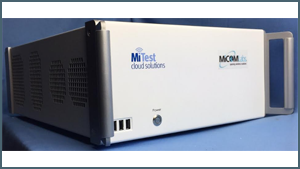 MiCOM Labs MiCert automatically informs manufacturers of expiring standards and non-compliant products. Manufacturers can bulk upload files, assign properties and standards to a product. Smart search filters assist in locating files with Documentation packages, all accessible and compatible with your mobile or desktop device. MiCert can organize and keep product information in one secure location, ensuring the compliance of all products globally. 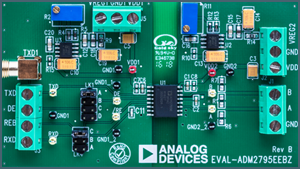 Empower RF’s Scalable Pulsed 1-2 Ghz Amplifier has an expandable system hardware architecture designed to save you money- “you buy only the power you need today” and add power amplifier blocks later when your test or application requires more output power. 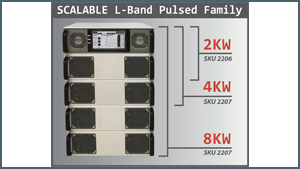 In addition to scalability, this amplifier is inherently rugged with an architecture that virtually eliminates every internal connector. EMxpert is a real-time, compact, bench-top EMC/EMI diagnostic tool enabling designers to rapidly diagnose & solve EMC/EMI problems in a single design cycle. Gain insights about why designs fail something no chamber can give. No more waiting for chamber time to redesign & test by trial & error. Rapidly diagnose intermittent problems, which may go undetected when using handheld/automated probes. 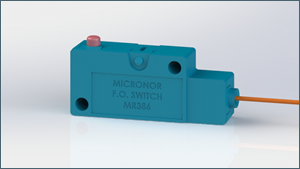 Micronor’s MR386 ZapFREE® Microswitch, the world’s first fiber optic micro switch, is purposely designed to meet the challenging requirements of MRI, medical and industrial applications. 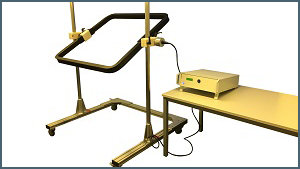 The entirely non-electrical, totally-passive sensor provides EMI and RFI immunity, high voltage isolation, inherent safety in explosive atmospheres, and can operate interference-free over long distances. Two models are offered – Industrial and non-metallic MRSafe. Want to know more? Watch this video. 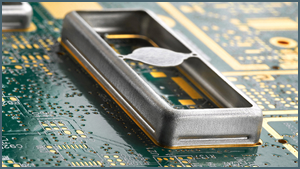 Masach is the industry leader of Standard Drawn EMI/RFI Shields. Our standard, Seamless Protective Cage, Two-piece shields offer optimal planarity and robust solid construction. The Drawn shields are all tooled items which are optimized for small, medium and large-scale runs (SMT compatible), designed to meet the electronic industries ever-growing high frequency and RF application. TDEMI eXtreme test receiver– 18GHz real-time scanning as well as a real-time bandwidth of 645MHz are the brand-new features of the worldwide fastest EMI Receiver TDEMI X of GAUSS INSTRUMENTS. It allows full compliance testing with a real-time scanning over several GHz as well as a fully gapless real-time analysis of 645MHz with Quasi-Peak, of course with excellent accuracy and highest dynamic range. The IsoLOG 3D Mobile is a broadband, 3-dimensional antenna designed specifically for field monitoring and surveillance applications. The 3D antenna covers the frequency range of 9kHz to 6 GHz and can be used with any Spectrum Analyzer. It comes with detailed calibration data and internal bypass-preamplifier. One Antenna for every challenge with world´s largest frequency range for 3D antennas. 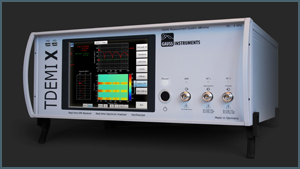 AE Techron’s 3110 Audio-Bandwidth Standards Waveform Generator: The 3110 features a powerful yet simple-to-use interface and a large library of Automotive and Aviation tests. Tests are easy to link, build from scratch, or customize using time-saving controls like triggers and repeats with changing variables. 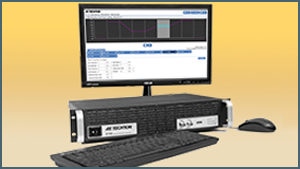 Use with AE Techron amplifiers to create a complete AC/DC solution for audio-bandwidth testing. The MAG 1000 is a stand alone solution used to test exactly as specifies in IEC 61000-4-8. Short duration tests are limited to 1 to 3 seconds with a field strength of 300-1100 A/m. Continuous testing is limited from 1 minute to 8 hours with a field strength of 1-120 A/m. 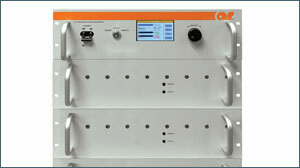 A selectable frequency allows testing in both 50/60 Hz. The ADM2795E is market first, an isolated RS485 transceiver that provides up to ±42 V of AC/DC peak bus overvoltage fault protection on the RS-485 bus pins. It has IEC61000-4-5 surge protection of ±4kV; IEC61000-4-4 EFT protection of ±2kV; and IEC61000-4-2 ESD protection of ±8kV/±15kV contact/air discharge. Signal isolation gives 6 dB margin on EN50022 Class B.